Them the new Bill Number. ​urge them to vote YES! Bill is still in Ways and Means. Your help is still needed. ​Calls and visits are making a difference. 1. Call or visit your State Representative. Ask them: "Please help support House Bill H.4394. by contacting House Ways and Means." Does your Senator already support the Bill thank him or her. If you have not called this week - call! Thanks to all those who called or visited it truly makes a big difference .. Without early screening kids with dyslexia get stuck on the red line until they fail and need expensive and intensive remediation. 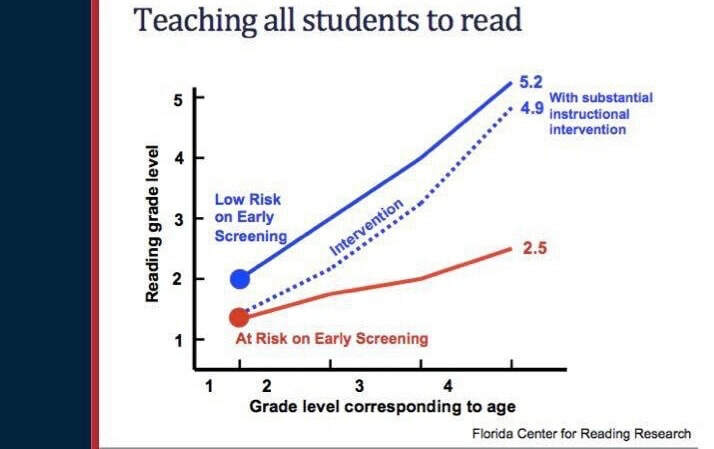 Screening to intervene early with effective intervention will keep kids moving on track without big gaps! Close the gap before it happens. ​(biologically and heritable) and both bills require regulations to establish a process for early screening. Talk to staff members, legislative aids and of course if possible legislators! ​Share your story, and this handout. Plan a meeting with or visit with your state legislators. Step 1: Call the State Senator and the State Representative - (see the link below) for your district in Massachusetts. A staff person will answer the phone. You can speak with that person and leave a message if your Senator is not available. Step 2: Tell the person you want meet them. Share why this dyslexia legislation is important to you. Provide them and their staff with the DD-MA handout tell them your story. Step 3: Ask for action for H.4394 and S.2443. 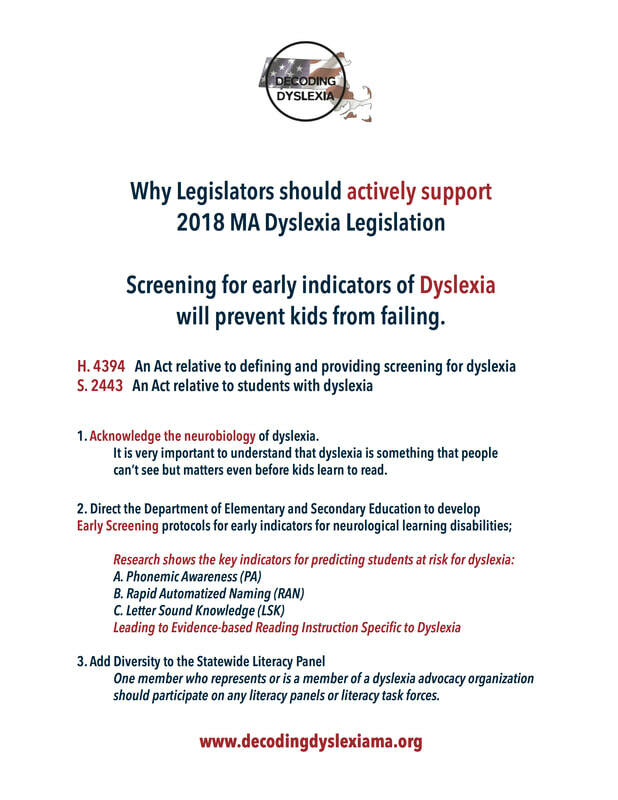 Be positive and remind them that early screening regulations and better scientific understanding of dyslexia will help kids before they fail. Most legislators have will set up meetings in the district! Call and ask your legislator to be part of the solution for future kids with dyslexia .